Although the remainder of the year saw sporadic skirmishing and an engagement at Falling Waters along the Potomac River, most of the fighting during the summer and fall of 1861 occurred farther to the west. During this time, Confederate forces gradually lost political and military control of the c ounties that would later be incorporated into the new state of West Virginia. In winter 1861-1862, Jackson conducted a campaign against Union forces at Romney, West Virginia. Maj. Gen. Thomas J. Jackson's Valley Campaign of 1862 is one of the most studied campaigns of military history. This campaign demonstrates how a numerically inferior force can defeat larger forces by fast movement, surprise attack, and intelligent use of the terrain. In March 1862, as a Federal force under Maj. Gen. Nathaniel Banks began to advance cautiously up the Valley, General Jackson retreated to Mount Jackson where he could defend the Valley Turnpike. His task was two-fold--to prevent deep penetration into the Valley and to tie down as many opposing forces as possible. When he learned that Banks was ready to detach part of his force to assist the Army of the Potomac then being concentrated on the Peninsula to threaten Richmond, Jackson marched down the Turnpike and fought the First Battle of Kernstown on March 23. In late April, Jackson left part of his enlarged command under Maj. Gen. Richard S. Ewell at Swift Run Gap to confront Banks and marched with about 9,000 men through Staunton to meet a second Union army under Maj. Gen. John C. Fremont, whose vanguard approached on the Parkersburg Road from western Virginia. Banks was convinced that Jackson was leaving the Valley to join the Confederate army at Richmond. But on May 8, Jackson turned up to defeat two brigades of Fremont's force, under Brig. Gens. Robert Milroy and Robert Schenck, at McDowell. Although the Confederates suffered more casualties than their counterparts the Battle of McDowell was a victory for the South. After a short pursuit of the fleeing Federals, Jackson abruptly turned and marched swiftly back in the heart of the Valley to unite with Ewell against Banks. On May 23, Jackson overran a detached Union force at Front Royal and advanced toward Winchester, threatening to cut off the Union army that was concentrated around Strasburg. After a running battle on the 24th along the Valley Turnpike from Middletown to Newtown (Stephens City), Banks made a stand on the heights south of Winchester. On May 25, Jackson attacked and overwhelmed the Union defenders, who broke and fled in a panic to the Potomac River. Banks was reinforced and again started up the Valley Turnpike, intending to link up with Brig. Gen. James Shields's Union division near Strasburg. Shields's division spearheaded the march of Irwin McDowell's corps recalled from Fredericksburg, while Fremont's army converged on Strasburg from the west. Jackson withdrew, narrowly avoiding being cut off from his line of retreat by these converging columns. The Union armies now began a three-prong offensive against Jackson. 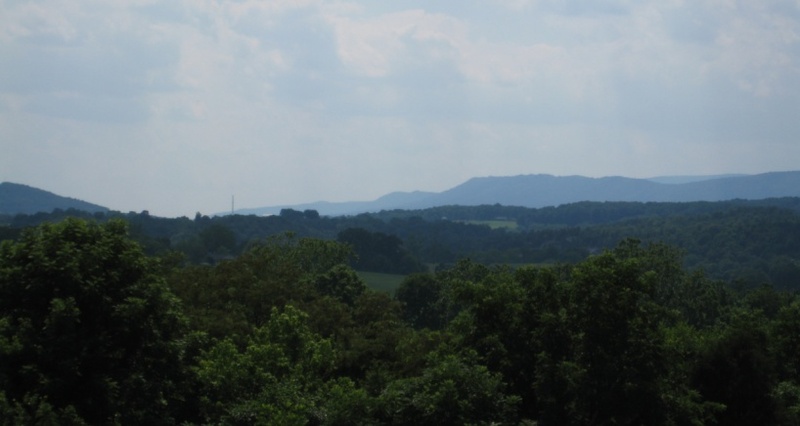 Fremont's troops advanced up the Valley Turnpike while Shields's column marched up the Luray Road along the South Fork. At this point nearly 25,000 men were being brought to bear on Jackson's 17,000. Jackson's cavalry commander, Brig. Gen. Turner Ashby was killed while fighting a rear guard action near Harrisonburg on June 6. Jackson concentrated his forces near the bridge at Port Republic, situating himself between the two Union columns that were separated by the mountain and the rain-swollen Shenandoah South Fork. On June 8, Fremont attacked Ewell's division at Cross Keys but was driven back. The next morning (June 9), Jackson with his remaining force attacked Shields east and north of Port Republic, while Ewell withdrew from Fremont's front burning the bridge behind him. Ewell joined with Jackson to defeat Shields. Both Union forces retreated north, freeing Jackson's army to reinforce the Confederate army at Richmond.